A Brutalist bus station dubbed the "mouth of hell" has taken its last gasp as explosives have reduced it to a pile of rubble. The Greyfriars building, which dominated the Northampton skyline for nearly 40 years, was demolished in about six seconds. A total of 414 homes were evacuated for safety reasons while the building was destroyed. 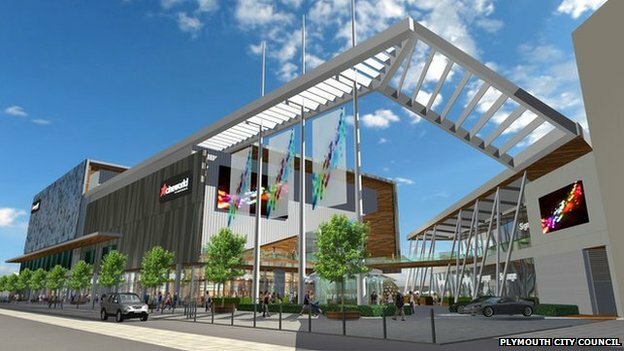 Retail and leisure schemes are now being considered for the site. More than 2,000 individual explosive charges were used to bring down the 175m (574ft) long building. The exclusion zone has now been lifted and people returned to their homes by 10:30. Work has already started on removing the materials, of which 95% will be recycled, Northampton Borough Council said. The "mouth of hell" was demolished in less than 10 seconds, a spectator said. 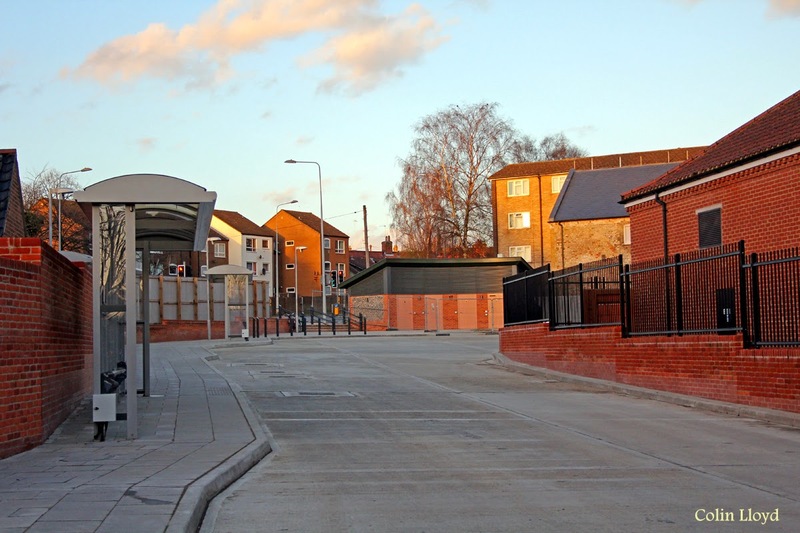 The bus station cost £7m to build in 1976, the equivalent of £44m in today's money. Corrine West, who photographed the demolition from a flat outside the exclusion zone, said: "In a weird way it was a bit emotional as I've got happy memories of hanging out in the bus station with mates when I was younger. "It wasn't the greatest building, but it seems like a big part of the town has been lost. It was all a bit surreal - it must have gone in four or five seconds." The 1970s building was once described as "like a great big mouth of hell" by Channel 4 presenter and designer Kevin McCloud. But Catherine Croft, director of the 20th Century Society, said it was too easy "not see the value of these buildings". The group aims to safeguard the heritage of architecture and design in Britain from 1914 onwards. "A 'blow-down is something people think is cathartic and dramatic. To me it adds to that myth Brutalist buildings are a monster out to get you, so we exert a mastery over them by blowing them down... it's one way to make absolutely sure it doesn't return." Greyfriars opened in 1976 and was designed as a piece of Brutalist architecture. 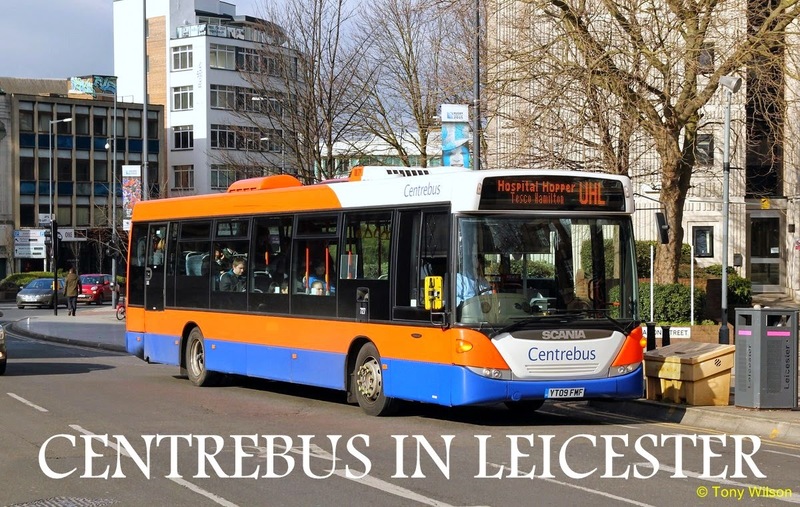 It was described by commentators at its opening as a "feat of engineering"
David Mackintosh, leader of Northampton Borough Council, said the demolition, which cost more than £4m, will "breathe new life into this under-used area of town". He added: "The demolition has removed an expensive eyesore from Northampton. "The next step will be to clear the site and continue the work started before Christmas to plan how we will redevelop the area." Greyfriars was costing local taxpayers £500,000 a year to maintain and would have cost £30m to refurbish. 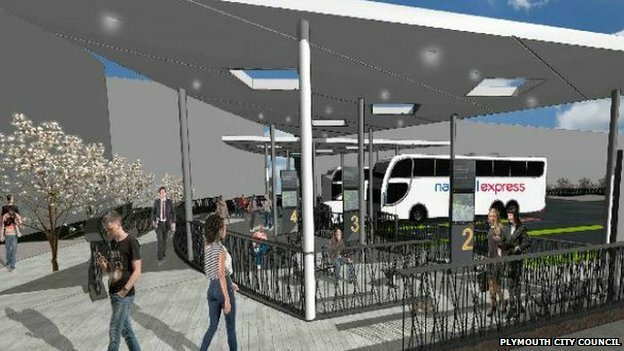 An "eyesore" coach station is to be demolished to make way for a £42m leisure complex. Plymouth City Council's planning committee has agreed the "bleak" station at Bretonside will be pulled down and replaced with a cinema and restaurants. There are also plans to create 400 car park spaces on the site. The former Mayflower West Car Park, about 0.5 miles from Bretonside, will be turned into a new coach station. Committee member councillor Jon Taylor described Bretonside as "bleak" and "unwelcoming" and being like "visiting the harrowing depths of Tolkien's Middle Earth". Developer British Land claim the new complex could create 350 jobs and 260 construction jobs. Robert Kybird, chairman of Breckland Council, Michael Wassell, leader of Breckland Council, Chris Lowe, project manager from Kier, and Sylvia Armes, Mayor of Thetford, at the opening of the new Thetford Bus Interchange on the 3rd March. Thetford’s new £3.9m bus interchange has been hailed as a success by developers, operators and councillors after it officially opened. The new facility’s controversial journey finally came to an end after Michael Wassell, leader of Breckland Council, and Sylvia Armes, Mayor of Thetford, helped snip the ribbon yesterday. The councillors were shown round the Minstergate site, which now has three bays open, with two more to open by March 31. A new toilet block will also open shortly, and a digital information board was due to be installed by today. Mr Wassell said the opening was an important day, with the new interchange also clearing the way for the Riverside development on the former bus station site in Bridge Street. “If you compare this site to the old one, it’s completely different and a great asset to the town. “I am delighted to see it open and I hope the people of Thetford see it as a huge advantage, and I am sure they will. “All three authorities - Breckland, Norfolk and Thetford - have been involved and it’s an example of what can be done by working together,” he said. With the town council taking on the running of the station’s toilet block, Mrs Armes insisted it would make sure the station served the town as intended. “We’ll keep an eye on deliveries to the nearby stores and see if that makes a difference on those days, and that the information board is kept up to date. “After all the controversy, I think now we have to move forwards with what we have got,” she said.